Welcome to week five of our Centennial Concert Season. 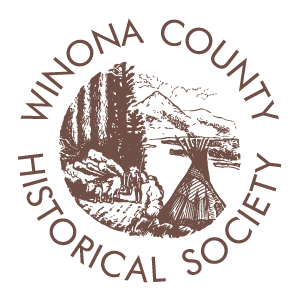 Our Concert Sponsor for the evening is The Hal Edstrom Family and our Arts Partner is the Winona County Historical Society. The Edstrom family circa 1957. Clockwise from left, Tom, Jo, Lee, Hal, Nancy, John, and Nick, at the Hammond Organ. For the 30+ years that Hal Edstrom was directing the Winona Municipal Band (WMB) he was raising a family with his wife, Jo. He was also in business with his brother, Everett “Ev” Leonard Edstrom for most of those years. The two brothers and their two sisters grew up in Worthington, MN with a musician father, a piano tuner by trade, who encouraged his boys to play and excel at music, which they did, winning awards in national competitions. Hal and Ev both majored in music at Winona State College where they started a dance band called the Kampus Kings. After college they formed the Hal Leonard Orchestra (Hal’s first name and Ev’s middle name) and toured extensively. During WWII Hal was teaching band at Winona Senior High School but when Ev returned home from the war they went into business together. They first opened a retail music store on 3rd and Center Streets, then accordion and photography studios. The latter becoming Alf’s Photography in the 1960’s. As a result of their success arranging music for marching bands, the brothers and their friend and fellow band director Roger Busdicker formed Hal Leonard Publications in 1947. In the early 50’s they became the region’s largest sellers of Hammond Organs and their kids got involved playing organ at county fairs to help promote sales. With the growth of half-time shows and band arrangements of popular music as well as music instructional publications, Hal Leonard Publishing took off and is today the world’s largest print music publisher. Both brothers married and raised their families in Winona – each had a family of five kids all of whom had a musical upbringing, competing in organ and piano contests. 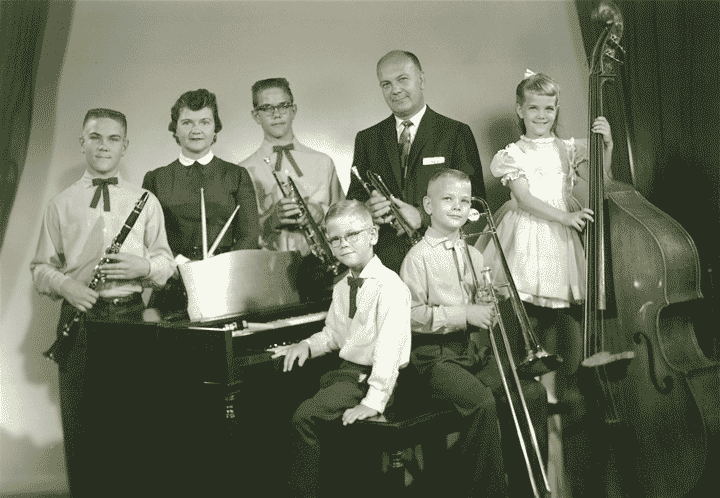 Hal’s kids (Lee, Tom, John, and twins Nancy and Nick) played in a family orchestra, as well as many bands – including the WMB – throughout their high school years. They played everywhere from PTA meetings to churches to live weekly television programs in Rochester and La Crosse. In 1961 Hal agreed to direct the First Congregational Church choir for two weeks, which turned into a 30+ year “gig” much like the WMB. The kids’ memories of their loving father are those of a musical maestro, a kindly but effective disciplinarian, and a creative businessman. Most of all they remember their dad as a humble, fun-loving and dedicated family man. Hal’s wife, Jo, was a very important part of the picture too as an adoring, ever patient wife and mother as well as the drummer for the family band. Hal’s successful tenure with the WMB was a prime example of his strong work ethic, enthusiasm, leadership skills, and his ability to bring out the best in others. The Edstrom family wishes to offer their congratulations to the Winona Municipal Band on its centennial celebration and heartfelt appreciation for the tribute being given to our father tonight. Thank you. 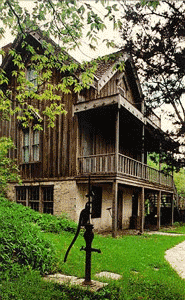 The Winona County Historical Society was founded in 1935 and today operates three museums throughout Winona County: The Bunnell House in Homer, The Rural Heritage Museum in St. Charles, and The Winona County History Center in downtown Winona. 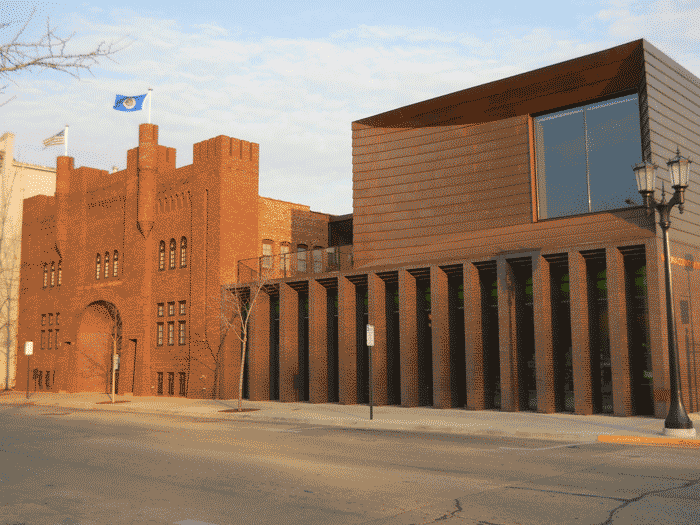 Current exhibits at the History Center include “The Art of Fine Furniture” until July 31 and “A History of Winona’s Municipal Band” in the main exhibit hall featuring images from their archives and uniforms from various decades of the band’s history. There are also three floors of other exhibits to explore and the expansive Laird Lucas Library and Archives for researchers of all levels. WCHS also offers numerous programs on a regular bases that include their Food For Thought Lunchtime Learning Series, Hands On History Workshops, History on the River Cruises with the Cal Fremling, and has teamed up with Theatre du Mississippi to offer the performance of “The Hired Girl Gets Married” at the Bunnell House this summer. Annual Events include Voices From the Past: Woodlawn Cemetery Walk (October 10 & 11, 2015), Christmas House Tour (December 6, 2015), and an Open House in February, along with Chocolate, Shakespeare and Champagne each June. Learn more at www.winonahistory.org. This summer’s performance, The Hired Girl Gets Married, written by Lynn Nankivil and directed by Paul Sannerud, will take visitors back to 1856 as the Bunnells ready the house for the celebration. It is a time for new beginnings, not only for a young bride, but all, as pioneers in a new land, forging a new life and new identity. Hours: Performances are Saturdays and Sundays at 1 p.m. and 4 p.m., starting June 27 through August 2 (Closed July 4). Location: Three miles down river from Winona, just off Highway 61, at Homer, Minnesota. Watch for the brown signs! Parking in lot and on street. 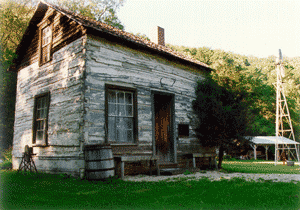 The Little Red Schoolhouse (Gainey School), on the Fairgrounds, the log Cabin and barn will be open and volunteer museum educators will have information about Winona County’s pioneer and farming past during the Winona County Fair this week! Stop in for activities for kids in the Schoolhouse on Friday! Hours: Weekdays 9 a.m. -5 p.m., Saturday 10 a.m. – 4 p.m. and Sunday 12 – 4 p.m.; WCHS Offices are Closed Weekends. Laird Lucas Library and Archives: Weekdays 10 a.m. – Noon; 1 – 5 p.m.; Closed Weekends. Admission: $5 Adults, $3 Students, Free for WCHS Members, Students doing research and Children 7 and younger. Location: 160 Johnson St., downtown Winona, Minnesota. Parking is located across 4th Street.